After a very fruitful Motorboot Sneek Autumn show, the Jetten 42 MPC was presented with her German distributor at one of the biggest boat shows in Germany. 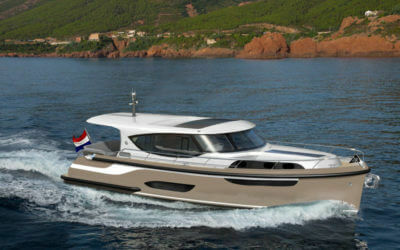 The 42 MPC attracted a lot of interest Boat & Fun Berlin, not least because of its beautiful shape and appealing interior. Currently, this 42 MPC is being phased out at the shipyard in Sneek meanwhile the production has started for several 42MPC’s that have already been ordered. Jetten Jachtbouw open on 12th, 13th and 14th april 2019. The yard's sales office can be visited from 10.00 to 17.00 hours. The Autumn Show is almost there ! 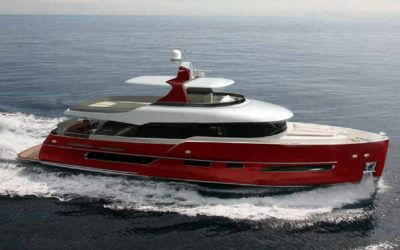 Jetten Shipyard builds 73 feet Custom Yacht.